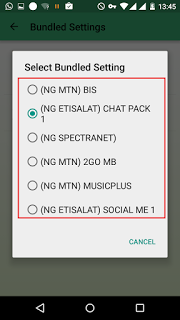 Hi guys, it has come to my notice that some of you are not aware or know about the way-out to set up Etisalat social me pack (chat pack and social pack) on Psiphon, tweak ware, syhpon shield, and other types of VPN we have. And also due to the demand of the etisalat social pak settings by one or two of this blog readers, so I've actually come with different types of settings for this on different VPN we have once again. I will recommend you to first test or use sypon shield for this tweak. Yes, because this is my tested and trusted VPN I've ever been using. One of the reason I prefer sypon shield is that, it can easily connect even while on edge network under 3 minutes as you can see in the image above, but it may disconnect after 10-15 minutes. 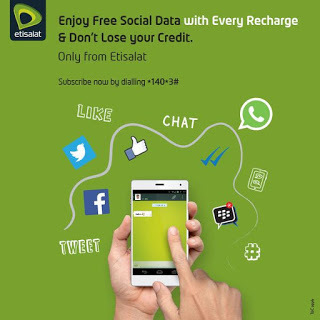 Firstly let's check out how to subscribe for etisalat social me pack. Now save it and proceed. ==> Accept the popup window message and welcome to the option page. Note: pls don't put any IP or port. It will connect under 10 seconds. 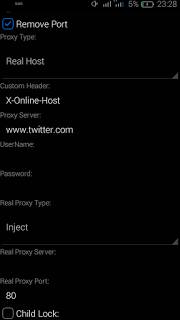 You can also use it with tweakware easily by setting your phone default APN settings as mentioned above. Then open the app and click on settings at the top right corner. Then scroll down and choose "SOCIAL ME"
Then press back and click on connect button. If you have any questions or you're having problem setting it up, kindly drop your comments below.